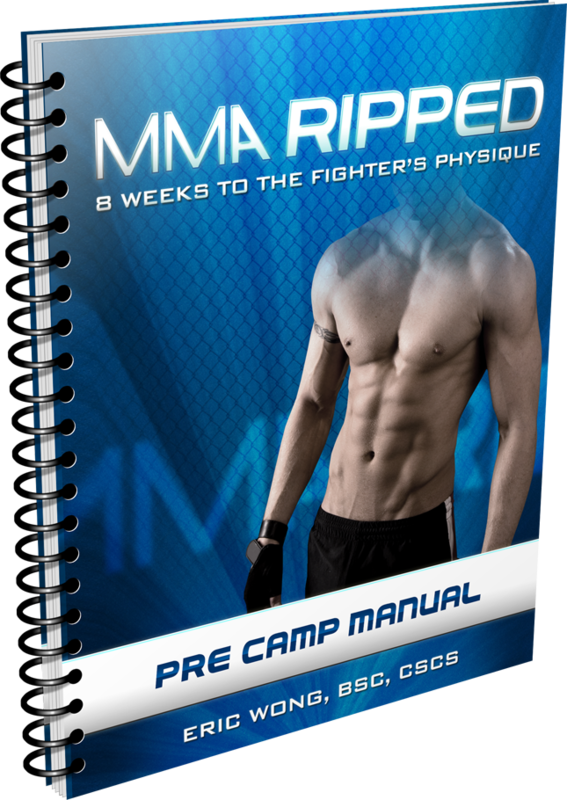 Here are the programs I’ve created that have helped fighters win in the UFC, mixed martial artists have more fun and get more out of their MMA training and regular folk get the physique and fitness of an elite fighter without ever stepping inside a cage. 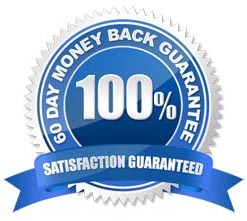 That’s why all of my programs come with my 60 Day No Holds Barred Guarantee LIFETIME PERFORMANCE GUARANTEE – if you’re unhappy with a purchase, you run into some money problems, or even if you didn’t like the fonts I used, email me and I’ll refund all of your money, no questions, no hassles. 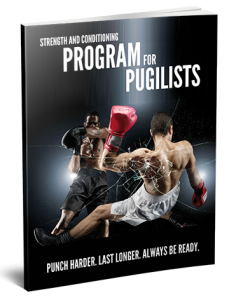 Plus, you can keep the program if you want – the bottom line is that I want you to get good results on a properly designed program designed for your goals, I’m not trying to sell you a “quick-fix” to make a “quick-buck”. I want you to be happy ecstatic with your purchase so you’ll be a satisfied, loyal customer for life. WHAT IT IS: a program that will help you assess what your greatest shoulder flexibility challenge is, whether it's rounded shoulders, trouble reaching overhead or behind your back, winged scapula, forward head, etc... then a step-by-step routine to help you fix it. WHAT IT IS: the fastest and most effective program for unlocking tight hips to help you kick higher and harder, Squat deeper, Deadlift without straining your low back and fix compensatory hip, knee and back pain. 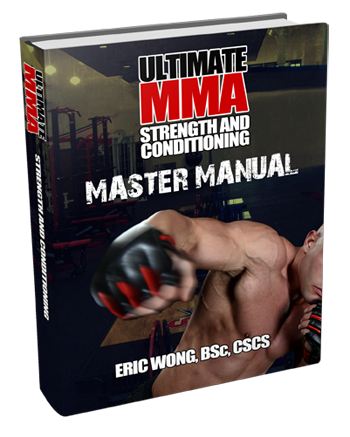 WHO IT’S FOR: Mixed Martial Artists, Powerlifters, Olympic Lifters, Cross Fitters, rock climbers and anyone looking to maximize their athletic and fitness potential who feels they’re held back by tight, inflexible hips. WHAT IT IS: an exclusive 8-week small group coaching program based on 4 workouts per week designed to help you build functional, athletic muscle and torch fat FAST. The workouts change every 2 weeks forcing your body to adapt to get you the fastest results possible. WHO IT’S FOR: anyone who wants to build a lean, athletic and functional body and be personally coached to ensure the best results possible. Guaranteed to be the most fun yet challenging fat burning workouts you’ve done in your life. 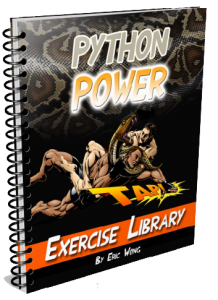 WHO IT’S FOR: any athlete who needs to add muscle AND build functional power at the same time without taking too much time away from skill training or making you too sore to develop skills effectively. 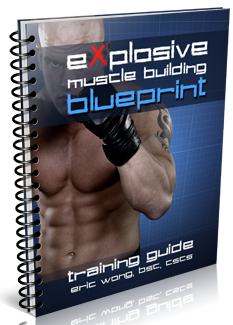 A must for any skinny athlete who wants to be taken seriously and achieve their potential. 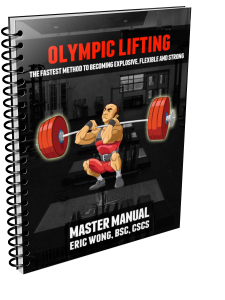 WHAT IT IS: a comprehensive yet simple, step-by-step program designed to help you quickly master the most explosive exercises on the planet – the Olympic lifts – so you can reap their benefits while performing them safely and with confidence. WHO IT’S FOR: any athlete requiring explosive power, such as MMA fighters, football players, hockey players, etc who want to learn proper technique in the Olympic lifts. Unless you run marathons you need to be performing these efficient exercises. Plus you’ll feel like a badass in the gym.